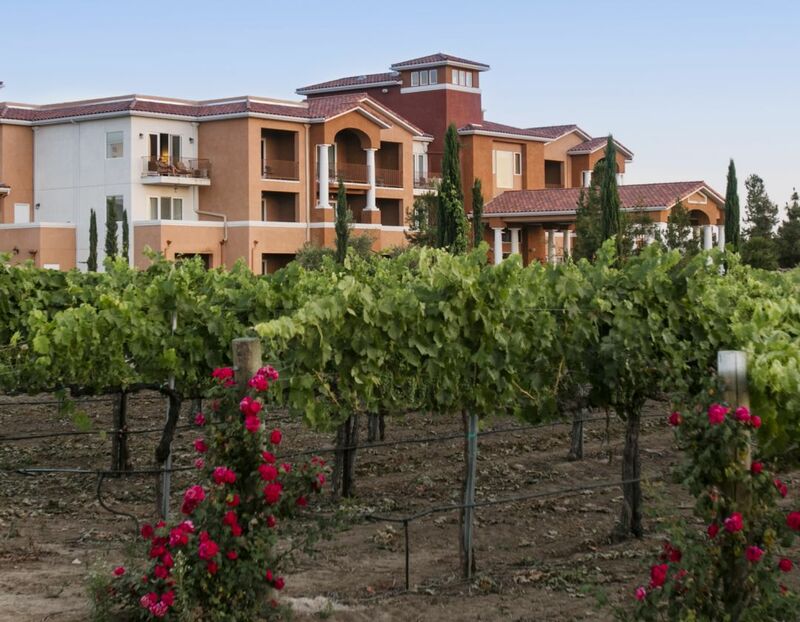 South Coast Winery Resort & Spa is one of the top Temecula Wine Country hotels for a relaxing vacation, wine tasting tour, elegant event and acclaimed dining experience. The accommodations at South Coast Winery Resort & Spa are pleasantly tucked away in the vineyards. Lounge on the terrace of your private villa or hotel tower suite, surrounded by rolling vineyards for a unique winery getaway experience. South Coast Winery Resort & Spa is home to more than 30,000 square feet of meeting space and a variety of indoor and outdoor event venues. Full catering service is available. Can you think of a more picturesque backdrop to your big day that rolling vineyards illuminated by the California sunshine? Enjoy picture-perfect weather year-round while we take care of everything from the bridal shower to the wedding reception to maybe even the honeymoon.